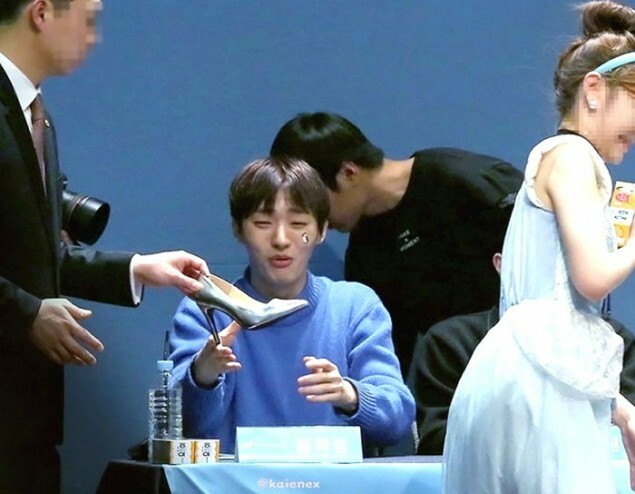 Wanna One member Yoon Ji Sung was recently mesmerized by a fan who decided to cosplay as Disney's Cinderella to a fan signing event. On January 11, the 11 members greeted their fanbase Wannables�at a 'Wanna One Fan Signing Event with Yo~Hi' at�Lotte Confectionery. Especially, one fan grabbed the attention of many by dressing up as princess Cinderella from head to toe. In perfect synchronization by donning detailed accessories, she hoped to leave a memorable first impression. 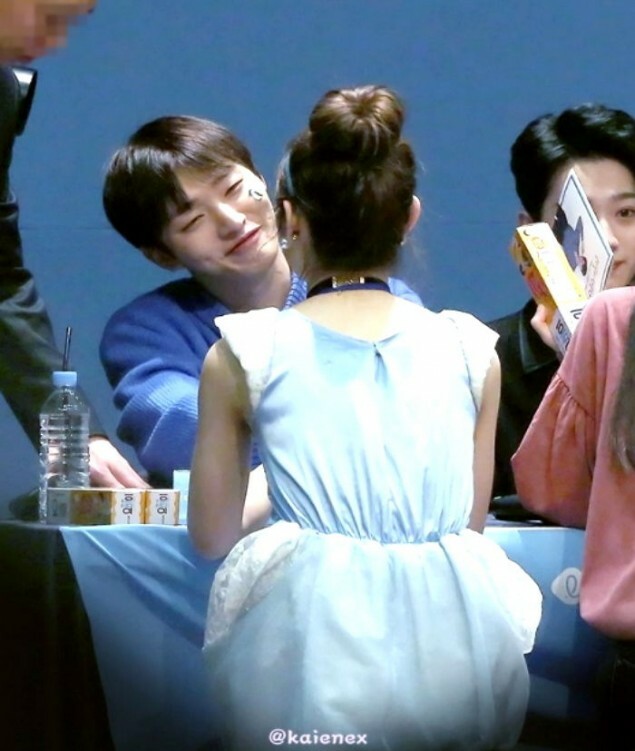 Upon his encounter with the cosplay fan, Yoon Ji Sung held a delightful interaction with the female fan, unable to take his eyes off of her. 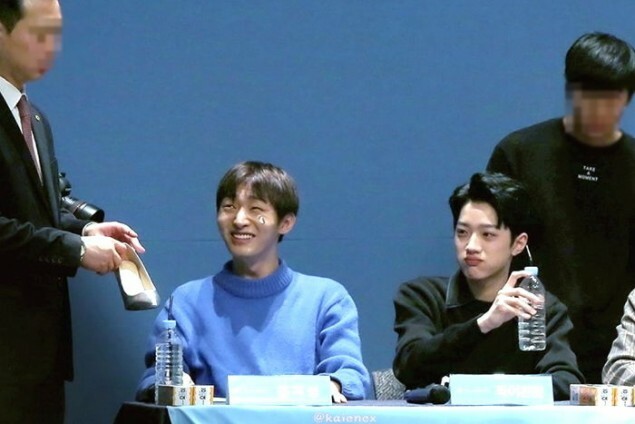 Afterward, as a bonus, the dedicated Wannable�ended her 'performance' cleverly, by leaving one 'glass slipper' on the table just like Cinderella did in the fairy tale, amusing everyone. Seeing this, the idol singer couldn't help but laugh out loud and beamed brightly. Meanwhile, it appeared the fan was inspired to dress up as the Disney character after seeing Yoon Ji Sung dress up as Prince Charming on stage at a previous Wanna One concert. 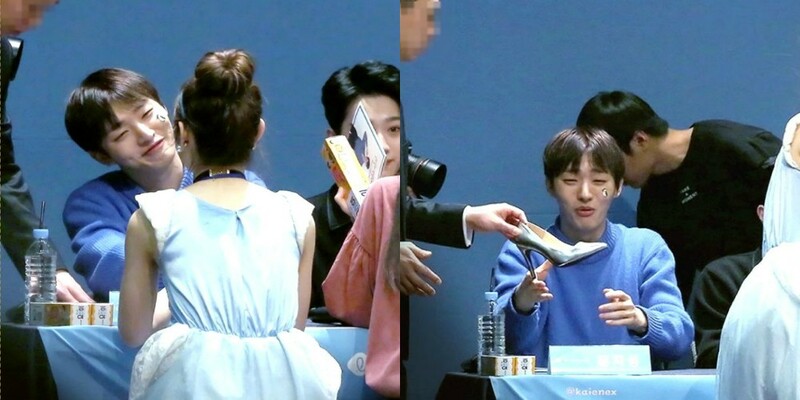 With that, Yoon Ji Sung's sweet interaction melted the hearts of many fans alike.